Hotel WiFi and airport WiFi may be easy and free, but are they safe? The simple answer is absolutely NOT! Public WiFi Risks far outweigh the cost of using a personal hotspot or taking a plan out with your carrier. Whether you pop out for a coffee at Starbucks or are traveling overseas, beware of who may be viewing your information. You could be sitting in a 5 Star Hotel in Paris and the person across the room could be gathering your data and contacts as you use your phone. So what is the information you should be concerned about someone else taking? Never use hotel WiFi for credit card purchases or uploading new credit card details, even on a site you trust. Wait until you can use a personal WiFi hotspot or your data plan. Keep your social security details private and do not email or message this over public WiFi. Keep your identity safe from hackers. Don’t share your home address, telephone number or any personal information to identify you over public WiFi. Try not to send emails over public WiFi. Your contact list could be captured and then rogue emails sent to your contacts as phishing or spam. Have you ever received an email from a friend, only to find out later that it was not them who sent it. This is the most common way to spread viruses and hijack your contact list. Always protect sensitive work documents when file sharing such as using drop box or google docs. ONLY use a password protected portable hotspot or your carrier. So next time you travel abroad, or even head out to an afternoon at the ballpark, avoid the risks and dangers of Public WiFi. The cost of someone stealing your passwords, financial information, or personal pictures and videos is far higher than the convenience of checking emails. 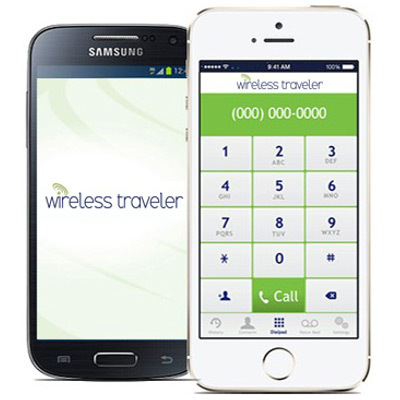 Take along a pocket WiFi or use your data plan.